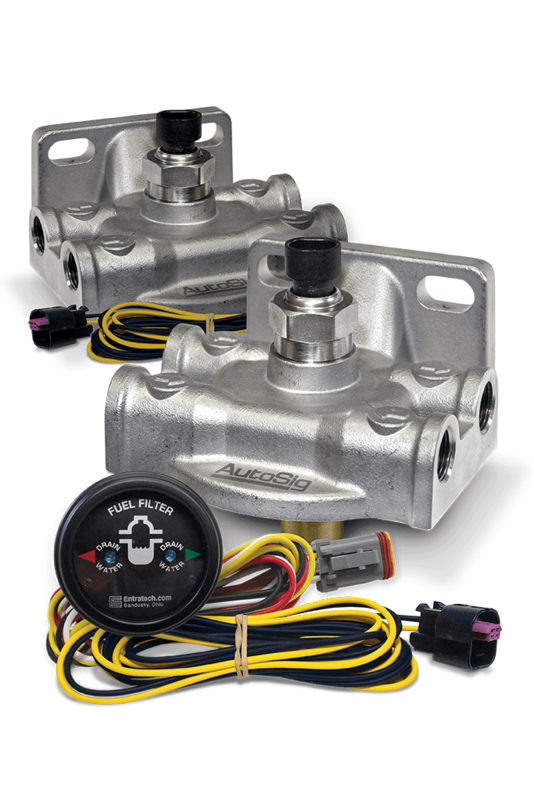 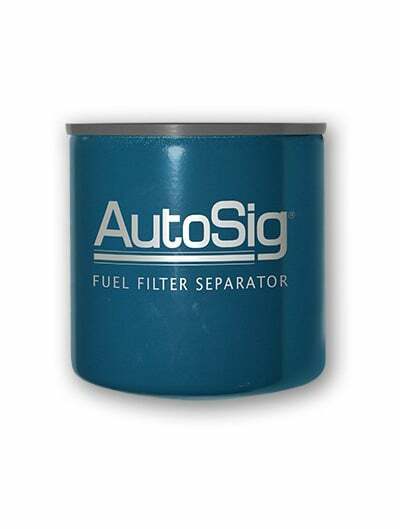 The AutoSig® SMART Filter System is an integrated system, with real time water in fuel sensor. 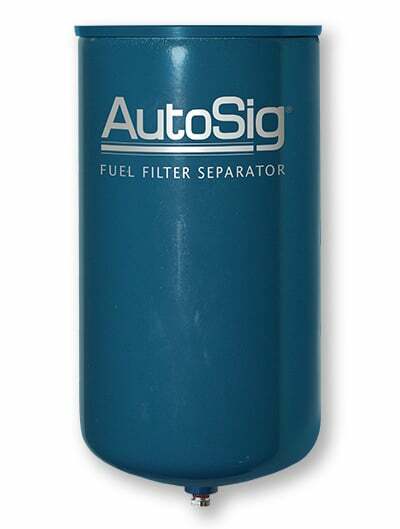 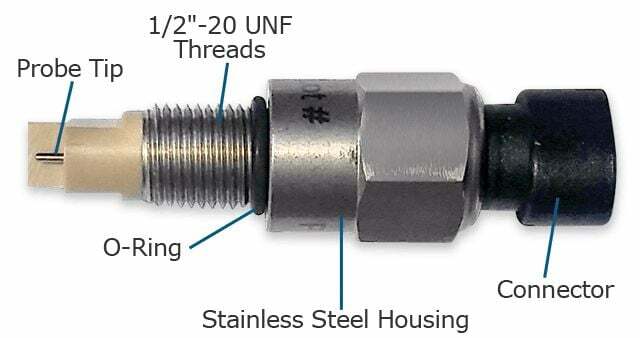 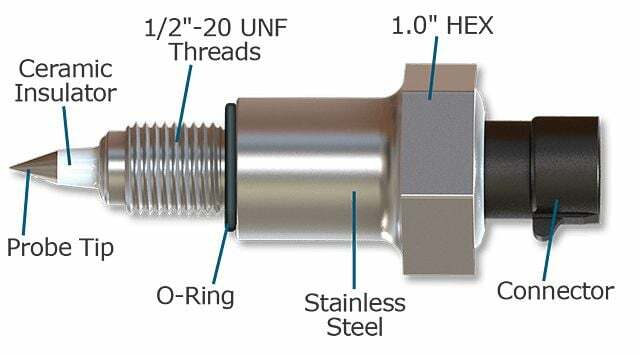 316 Stainless Steel Head with 3/8"
The AutoSig® SMART Filter System is an integrated system, combining a fuel filter, water separator and real time water in fuel sensor. 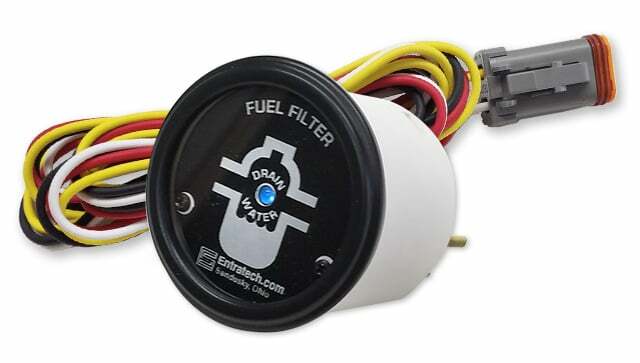 Rugged water-in-fuel probe available with or without internal EOL (End Of Line) resistors engineered to interface with Engine Control Module (ECM). 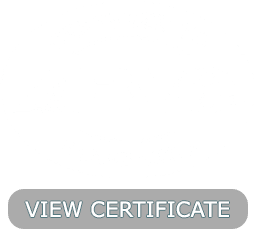 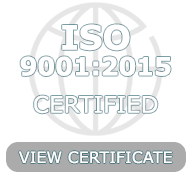 For use in marine machinery spaces that must conform to ABS marine standards. 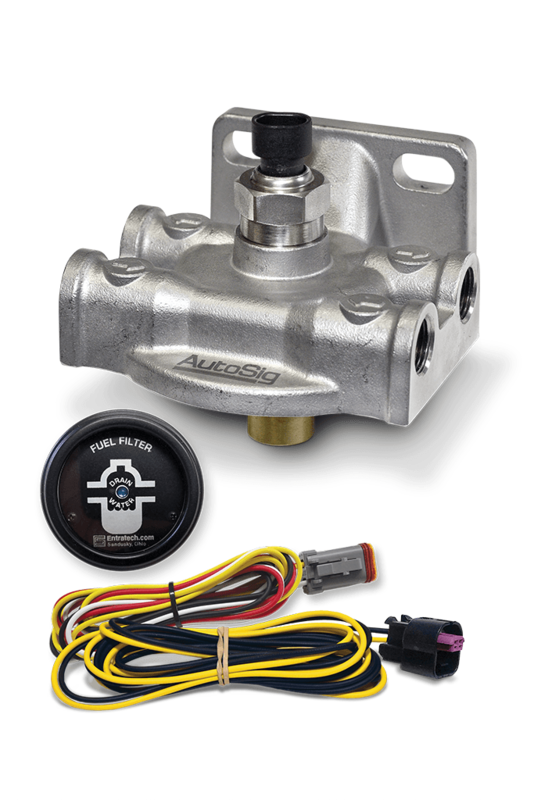 Can be used in any robust off-road, on-road vehicle, marine or generator set application. High-quality wire harness with TE connector. 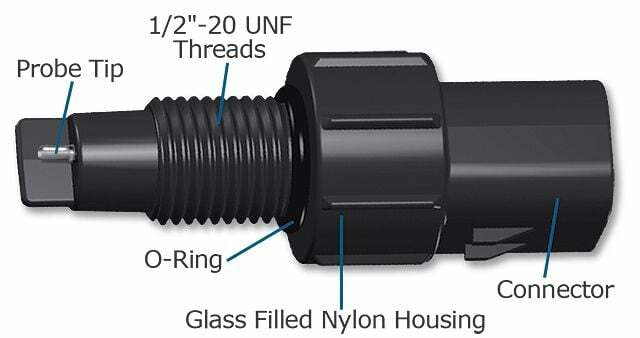 Compatible with Entratech WW002800-series Nylon WIF sensors. 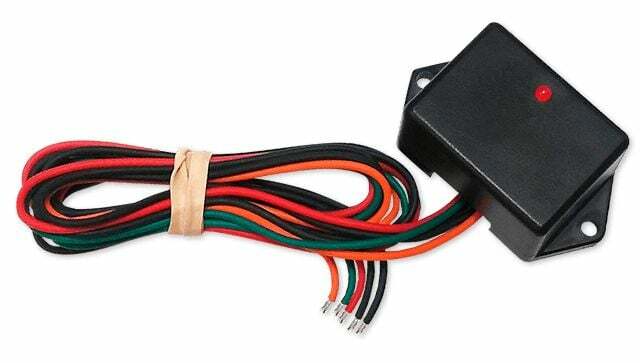 High-quality wire harness with DELPHI connector. 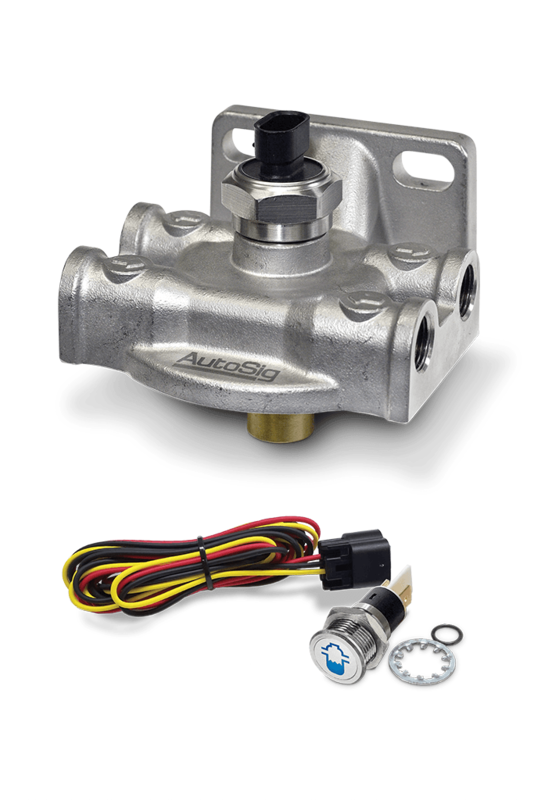 Compatible with Entratech 110006AA and WW004800-series Stainless Steel WIF sensors. 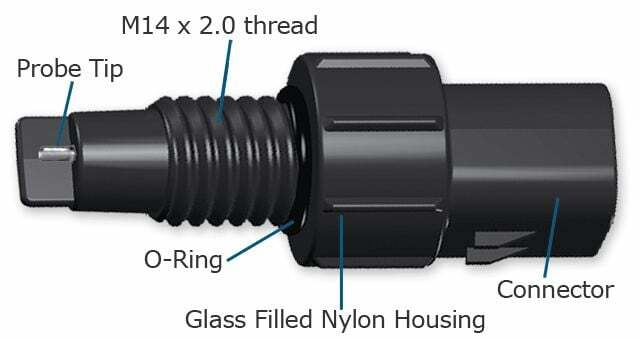 High-quality wire harness with connector. 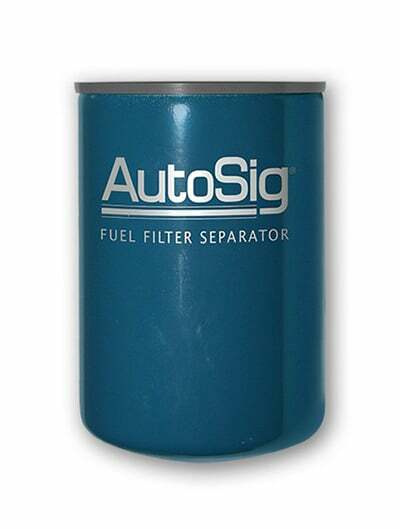 Gauge has indicator light to warn when water-in-fuel is detected. 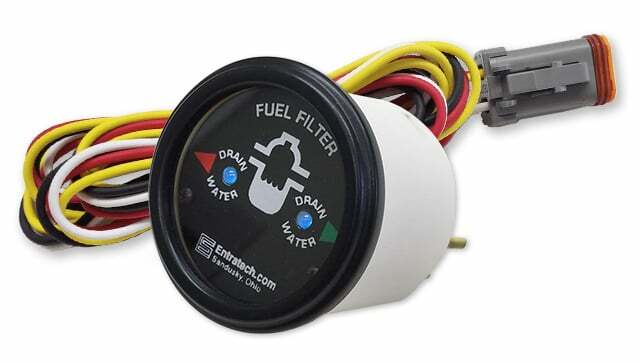 Dual Gauge has 2 indicator lights to warn when water-in-fuel is detected. 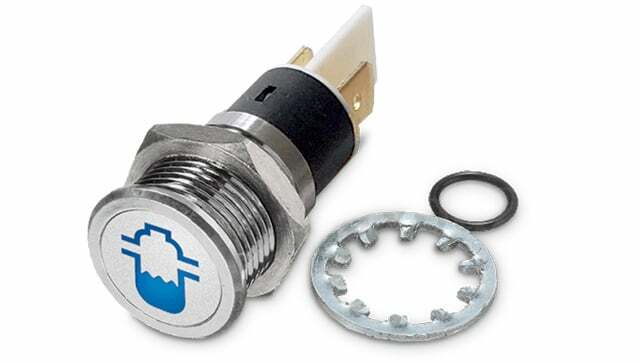 Indicator light to warn when water-in-fuel is detected.